Orange and Porto Seguro Conecta are collaborating to support IoT (internet of things) projects in Brazil to meet the demand from multinational corporations. 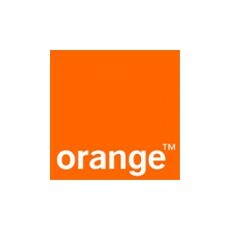 The agreement between the two companies enables Orange to provide its global customers with IoT coverage in Brazil through the Porto Seguro Conecta connectivity and mobility platform. Porto Seguro Conecta’s extensive experience in IoT connections in Brazil, used for tracking car and residential alarms and IoT applications, is instrumental for local support, and complements the Orange global footprint. “Brazil is a strong market for IoT solutions in various sectors, such as utility, consumer appliance and electronic, automotive, medical and financial services. With an eye on this demand, Orange can offer its customers, via Porto Seguro Conecta, a dedicated connectivity service. We are prepared to implement new applications and broadband requirements that are essential to IoT communications,” says James Galli, Head of Porto Seguro Conecta. The Orange Business Services IoT connectivity service is part of Datavenue, a modular IoT and Analytics solution. To enable advanced analysis and decision-making, the Datavenue solution encompasses the selection of relevant data and objects, their reliable and secure connection, and their management in the customer information system environment. A global team of more than 700 Orange data-scientists and engineers design and develop these innovative services. Orange already supports over 10 million active objects across a variety of sectors, including Smart Cities, Healthcare, Automotive and Manufacturing. The launch of Datavenue reaffirms the Orange commitment to supporting businesses with their digital transformation. Porto Seguro Conecta is the first and only Mobile Virtual Network Operator (MVNO) to operate in Brazil and has over 330,000 active lines for M2M communications, tracking cars insured by Porto Seguro Auto and residential alarm systems, monitored by Porto Seguro Proteção e Monitoramento.